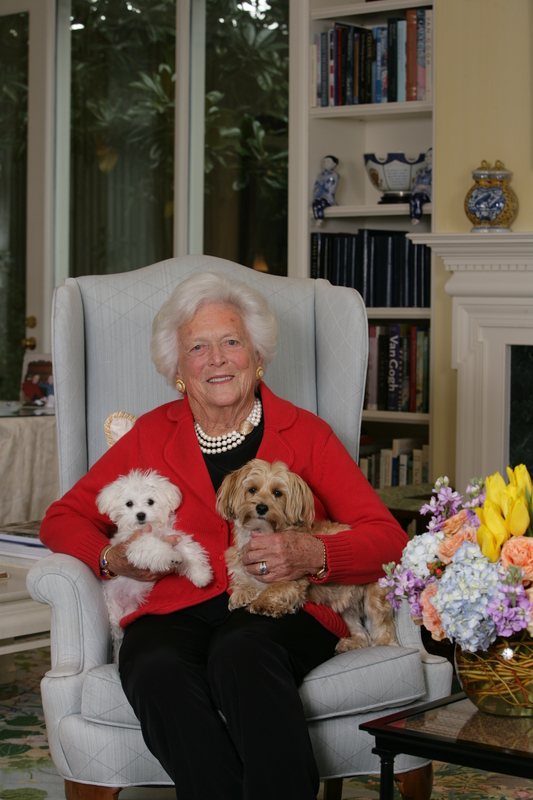 Photo of Bibi and Mini Bush with First Lady Barbara Bush by Evin Thayer Photography as featured on PetTalk’s December 2009 Cover. Come celebrate the opening of “Bibi & Mini-Me Bush” Dog Park at Pundt Park, 4129 Spring Creek Drive, Spring this Saturday, March 24, from 1pm to 3pm. The day’s activities will feature: “Man’s best friend” raffle items; vendor booths with all types of pet-related information, items and services; a presentation by Hunter the Arson Dog from Harris County Fire Marshal Mike Montgomery’s Office, and much more. This dog park is the first for Precint 4! Ia MiniMe a bichon frise? Or what breed is she? Is Barbara Bush’s dog Bibi a malti-poo? I was told when I purchased mine that a litter mate was going to Barbara Bush. Maybe it was true as they look very very similar.